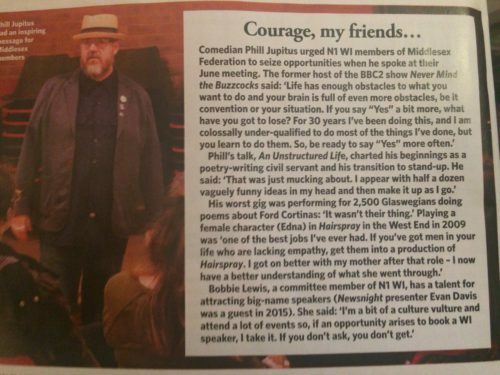 As part of WI membership, you get 8 copies of WI Life posted to you throughout the year. 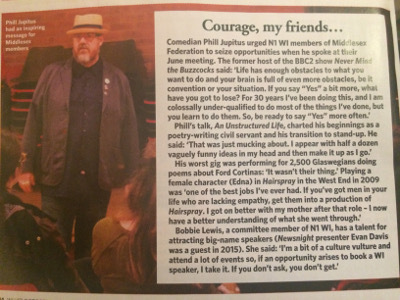 In October’s issue, our Phill Jupitus meeting in June was covered. Thanks to Bobbie for organising and Louise P for the photo!